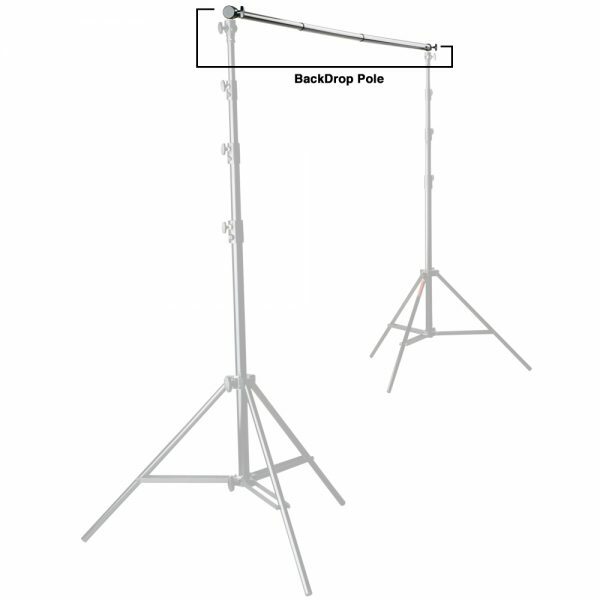 The BackDrop Pole is designed to be a secure, stable, and easy-to-use solution for holding backdrops and background rolls on your photo set. The unibody design with telescoping sections results in fast, secure set ups. Use with Photoflex BackDrops or with your existing backgrounds. 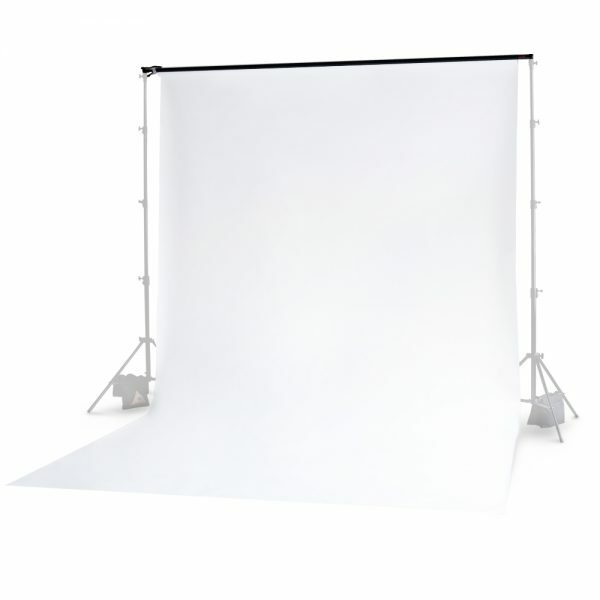 Photoflex BackDrop features a sewn channel that easily slides over our BackDrop Pole. Our backdrop pole requires two LiteStands to support it. If you do not already have LiteStands for it, then we suggest purchasing either the First Studio BackDrop support kit or the ProDuty Backdrop support kit.